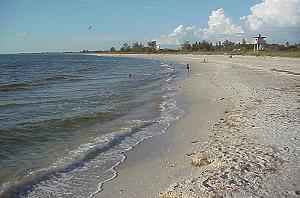 Nokomis Beach is located on Casey Key directly west of the Albee Road Bridge. The park includes 22 acres with 1,700 feet on the Gulf and 3,200 feet on the Intracoastal. 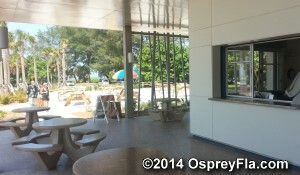 There's an on-site snack bar serving sandwiches, snacks and cold drinks. North Jetty Park is located on the southern tip of Casey Key. The jetties there make it one of the best places on the west coast of Florida for surfing. 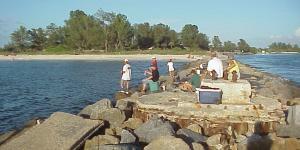 It's a popular spot for picnics and there is good fishing. Boats pass through the jetties from the Intracoastal to the Gulf.